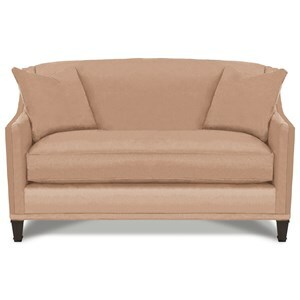 Add comfort and style to your living area with this chair and ottoman. 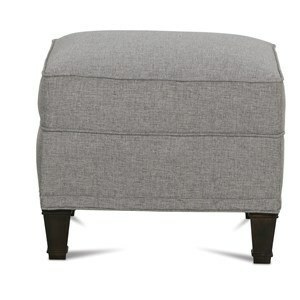 The ottoman creates a place to rest your feet as you sit in the upholstered chair or even offer an additional place for a guest to sit when you are host a large group. Exposed wood feet complement the plush cushion tops of the chair and ottoman. 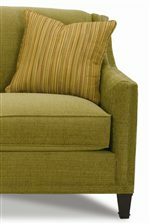 The upholstered chair makes a comfortable to sit with a cup of coffee and your laptop or where you can watch TV. 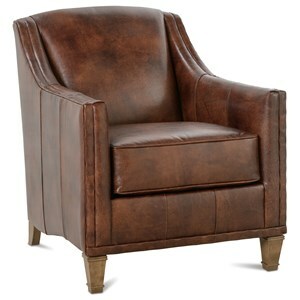 The classic style of the chair with its shaped arm makes a beautiful accent to your living room, master bedroom seating area, or home office. 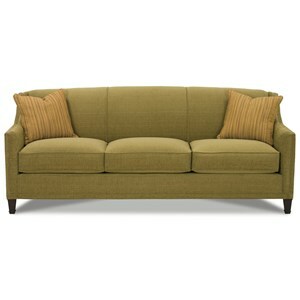 Use with the coordinating upholstered chair for a great chair and ottoman set. The Gibson Upholstered Chair & Ottoman with Exposed Wood Feet by Rowe at Baer's Furniture in the Ft. Lauderdale, Ft. Myers, Orlando, Naples, Miami, Florida area. Product availability may vary. Contact us for the most current availability on this product. K591-000 Chair 1 29" 34" 35"
K59-000 Ottoman 1 25" 22" 19"